Hey guys! Since we had half days a couple times this week due to standardized testing, I was able to go shopping for the first time in a while. I had been in the mood to go, so I asked my mom to take me to Marshalls. I wasn’t really expecting to get too much, but boy was I wrong. So first we went to Marshalls, and while I found some things, my mom didn’t, so she wanted to check out the newer T.J. Maxx near us. 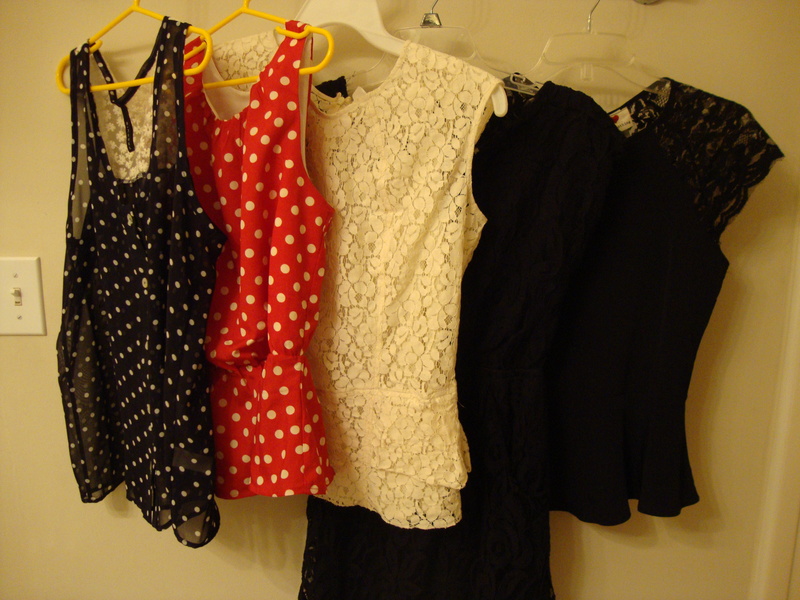 In total, I got 5 pieces- 4 from Marshalls and 1 from T.J. Maxx. 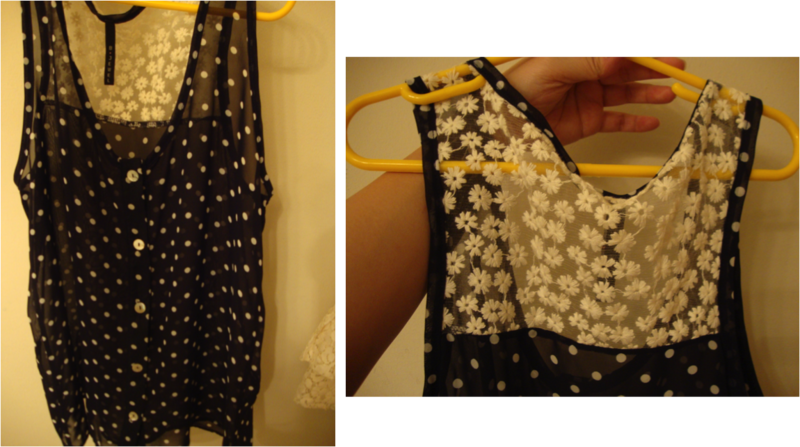 The thing I really loved about this top was the floral detailing on the back. I have many shirts that are a similar style, but not one that combines both polka dots and florals. 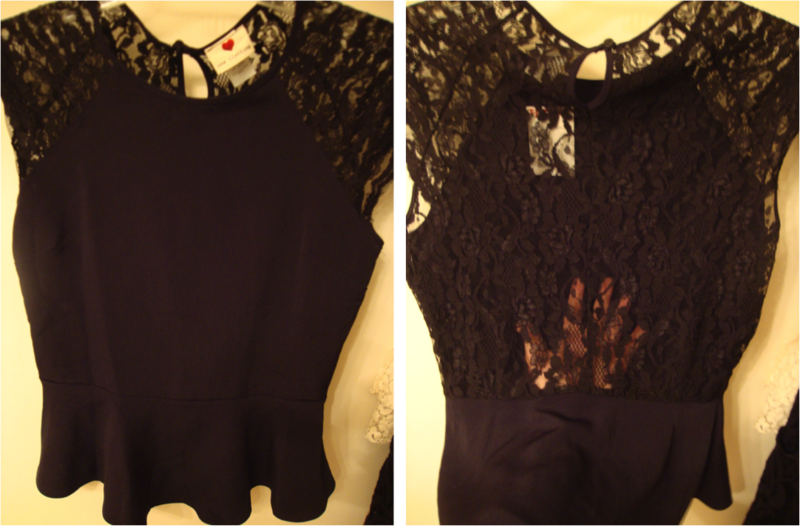 When I first saw this top, I snatched it up right away. I thought it was so cute. Upon inspection, it looked like it would be a tighter top so I decided to try on a medium. When I tried it on, it looked a little off. When I asked my mom her opinion, she said it was okay, but I really wanted it, so I asked if she thought a size down would help. She told me to go for it and I was so happy I did. Getting a small really did help. This was actually a last minute purchase. I was heading to the checkout line, when I saw it and picked it up. Since we were getting ready to leave, I didn’t bother trying it on; I assumed it would fit. Unfortunately, it’s a little bigger than I would like, so I’ll most likely return it. 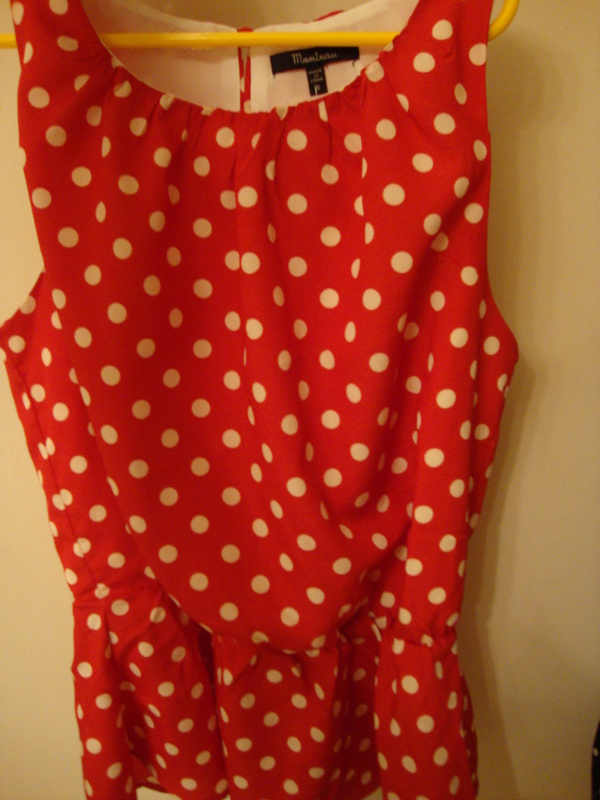 Hopefully, I’ll be able to find it in a x-small because this is a very cute top. Since it’s lace (or whatever), it has a built in tank and a full zipper back.If they had it in an x-small, I would probably keep it. *Note: This top is more expensive than the rest because it’s from the missy section not juniors. This dress was on sale and I absolutely love it. It was probably one of my favorite purchases. Normally, I try to avoid things that are cinched at the waist, since my waist is so short, but I loved the lace and the pockets so much that I thought I would give it a try. I was so happy I did! I love everything about this dress. The cinching fits fine, it’s the perfect length, and IT HAS POCKETS! It also has a really cute cutout in the back, which is something I wouldn’t normally be in to, but this one wasn’t too bad. Since I already thought so much stuff at Marshalls, I didn’t expect to get anything at T.J. Maxx. I didn’t even plan on looking, but my mom went to look, so I did too. After browsing for a little while, I came across this baby. I was little apprehensive because it was a small, but I tried it on anyways. In the dressing room, I was pretty sad because I couldn’t even get the top all the way over my arms. Luckily, I noticed the side zipper and everything was okay. Unfortunately, this top is a little tight, it kinda rides up a little, but it’s pretty flattering and I couldn’t pass it up. It’s just so freakin cute. 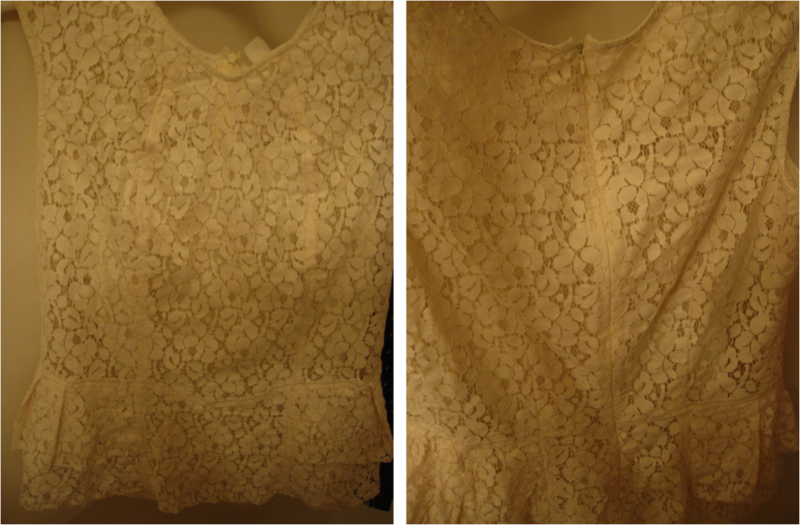 Also, the back is all lace, so obviously, you can see my bra. That’s the only true dilema. If anyone has any tips on what I should do, please let me know! So that’s all for this haul! I figured I would try something a little different from laying all the clothes on the floor! I hope you liked this post and if you’re interested in either dolka dots, florals, peplum, or a combination of the three, I advise you to check out your local Marshalls/T.J. Maxx! I’m sure you’ll be able to find something. What item did you like the most? Have you found anything cute at either of these stores lately? Thank you! It means so much that you took the time to comment; I really appreciate it! I would love to take a peek at your blog!